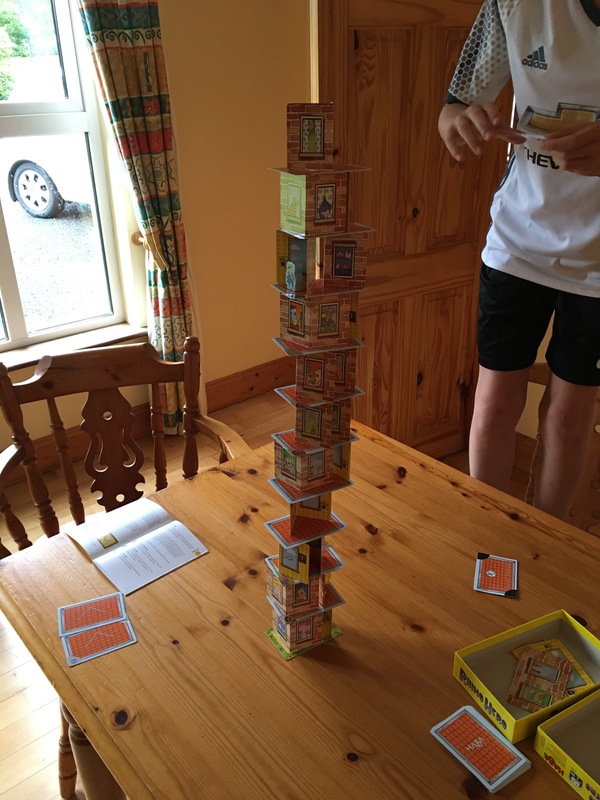 Rhino Hero is a lovely little Jenga+ game from Haba. 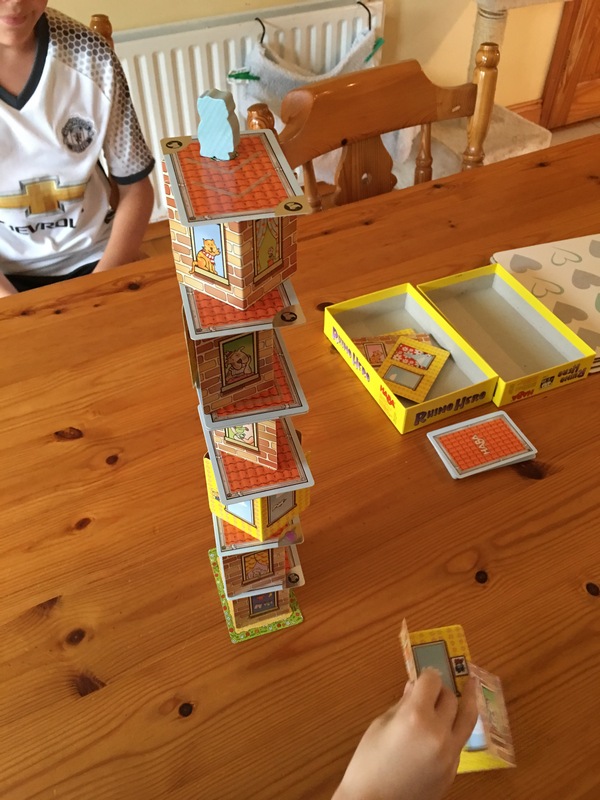 Haba produce neat kids games and this is no exception. The concept is simple, you start with a spread of random shape cards and you need to be the first to get rid of all of them before your opponents do. Cards have a couple of shapes on them which you stack folded wall sections upon. You have to place these wall sections down then put one of your floor cards on top of it. It makes more sense if you look at the pics. 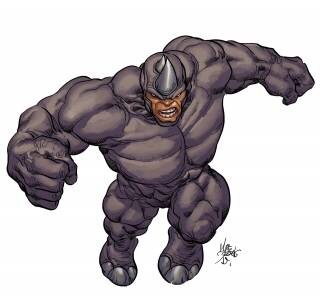 Cards also contain a symbol which forces an opponent to draw another card, allows you to spend two or makes the titular rhino (a big meeple) appear and you have to stand him on top of the tower constructed so far. Cause the tower to fall on your watch and you lose. As I said. It’s Jenga with a little more. It’s good simple fun and kids will love it. It’s also cheap as chips. Around a tenner or so. While it lasts it’s fun but don’t expect much and you’ll be pleasantly surprised. Simple game younger kids will love it.